Several key mortgage rates slid lower today. The average for a 30-year fixed-rate mortgage decreased, but the average rate on a 15-year fixed were higher. On the variable-mortgage side, the average rate on 5/1 adjustable-rate mortgages declined. Mortgage rates change daily, but they remain much lower overall than they were before the Great Recession. If you’re in the market for a mortgage, it may make sense to go ahead and lock if you see a rate you like. Just don’t do so without shopping around first. 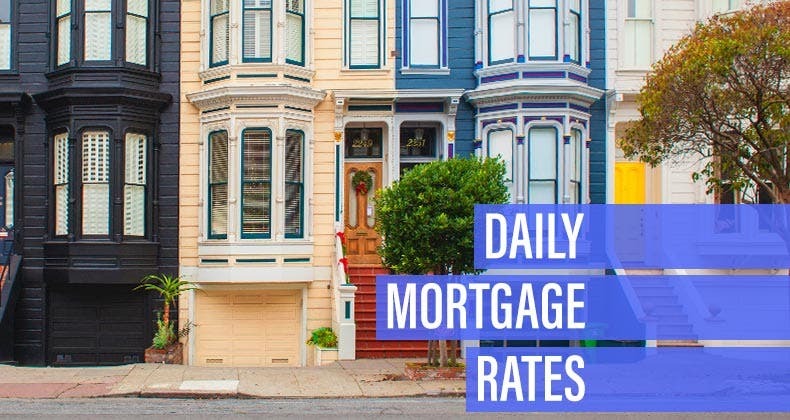 The average rate for a 30-year fixed mortgage is 4.34 percent, a decrease of 5 basis points over the last seven days. A month ago, the average rate on a 30-year fixed mortgage was higher, at 4.53 percent. At the current average rate, you’ll pay $497.22 per month in principal and interest for every $100,000 you borrow. That’s a decline of $2.95 from last week. The average 15-year fixed-mortgage rate is 3.67 percent, up 1 basis point since the same time last week. Monthly payments on a 15-year fixed mortgage at that rate will cost around $723 per $100,000 borrowed. The bigger payment may be a little harder to find room for in your monthly budget than a 30-year mortgage payment would, but it comes with some big advantages: You’ll save thousands of dollars over the life of the loan in total interest paid and build equity much more quickly. The average rate on a 5/1 ARM is 4.02 percent, ticking down 1 basis point over the last week. Monthly payments on a 5/1 ARM at 4.02 percent would cost about $479 for each $100,000 borrowed over the initial five years, but could increase by hundreds of dollars afterward, depending on the loan’s terms. Last updated: February 25, 2019.